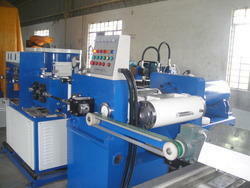 With wide expertise in this domain, we have come up with wide range of Welding Electrode Manufacturing Plant. Our producing capacity varies from 1 MT per shift to 12 MT per shift. The manufacturing unit consists of Wire straightening and cutting machines, Mixers, Briquetting press, extruder, wire feeder, conveyor and Baking Oven. Offered by us, these welding electrode manufacturing plant are fabricated using supreme grade raw material from our authentic vendor base to ensure that these are in accordance with international quality standards ans norms. We are Manufacturing complete plant and machinery for Welding Electrode Manufacturing Plant, Plant capacity ranges from 1 MT per shift to 12 MT per shift.The plant consists of Wire straightening and cutting machines, Mixers, Briquetting press, extruder, wire feeder, conveyor and Baking Oven. 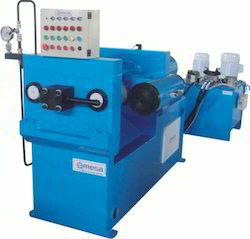 Owing to our rich expertise, we are offering a compact assortment of Welding Electrode Machinery. These products are made to fulfill the distinct demands of the clients. Our products are fabricated using optimum grade raw material that is sourced from the most accredited vendors of the market. In addition to this, patrons can avail this range from us in diverse sizes and dimensions as per their detailed specifications. 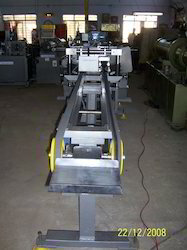 We are one of the most promising exporters of Welding Electrode Production Line in India. 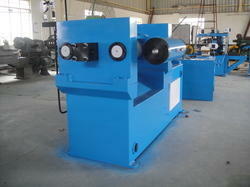 Our machinery render trouble free performance for longer period of time. We provide comprehensive range of products such as welding electrode manufacturing machinery, welding electrode equipments, welding electrode accessories and welding electrodes. Products served by us are made up of quality raw materials, which increase their durability and efficiency. The Welding Electrode Plant are directly loaded into the Extrusion, wire feeder into coating area feeds the required core wire. The high specific pressure generated in the extruder ensure compant and uniform flux coat; concentrically of coating is easily adjustable, the flux coated electrodes are fed in to conveyor, which takes care of brushing, Tip Cleaning, Brand Name printing and passes to unloaded conveyor. We are the leading manufacturers and suppliers of Welding Electrode Flux. We are the leading manufacturers and suppliers of Welding Electrode Raw Material. 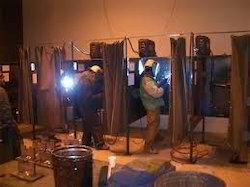 We bring forth an outstanding array of Welding Flux Batching Plants for our valued clients. Offered plants are widely accredited for usage in various sectors of the industries for multifarious applications. Moreover, these products are designed by making use of optimum grade raw material in tandem with the industry laid parameters. In addition to this, patrons can avail this consignment from us in multifarious sizes, grades and other specifications as per their requirements within the stipulated time frame.